Posted On August 12, 2016 by &filed under Legal Articles, Legal India. The issue of child labour has attracted enormous significance both at State & national level. The proactive policies of the Govt. of India followed with the land mark judgment of the Hon’ble Supreme Court of India on 10th of Dec’96 in writ petition No:465 of 1986 of Sri M.C Meheta ,State of Tamilnadu & others have enlightened all concerned. National Child Labour Project is the resultant action of the said policies through which withdrawing working children from hazardous occupations, educating them in the NCLP Schools, mainstreaming them into formal education making them morally & socially responsible citizens of the society are done. 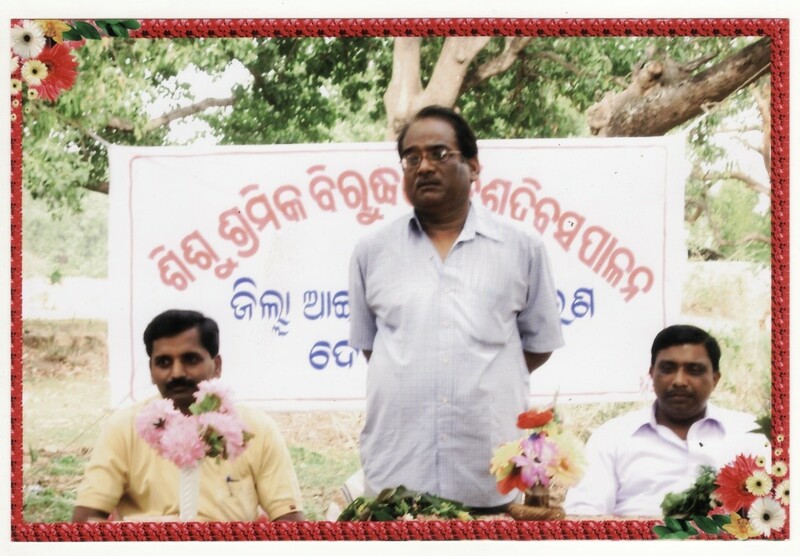 National Child Labour Project, Deogarh came up as a Society registered under the Society Registration Act, 1860 on dt.08.09.1995 with the Collector & District Magistrate, Deogarh as the Chairperson. District Labour Officer is being entrusted with the job of execution of the Project with the help of a Field Officer. The following activities have undertaken by the National Child Labour Project, Deogarh for the rehabilitation of the child labours of the district. The survey & identification of child labours were undertaken in DEOGARH district as per the guidelines of the Hon’ble Supreme Court of India in 1997 and as per the direction of the Government of India in 2005.This district is having three blocks and one Municipality. The survey works were entrusted to the B.D.Os in their respective blocks and the Executive Officer of Deogarh Municipality. As per the survey undertaken in the year1997 about 428 number of child labours were reported in the field of hazardous employment i.e., in Bidi rolling process only in the Reamal block. There are 4910 child labours engaged in both hazardous and non hazardous manner in the un -organized sector in 1997 , 10014 child labours found to be engaged in the 2005 survey. During the recent Child Labour Survey more than 7000 child labour have been identified in the District in 2011. During the 2016 district child labour durvey 1875 child labours were identified in the district.Most of the child labours were engaged in cultivation, cow herd, stone work,beedi rolling etc. Some of them were engaged in construction work and other manual work. In order to rehabilitate all the identified child labours 27 nos of Child labour Special Schools were opened with 1350 child labours during 1996. Thereafter another 13 child labour special schools have opened with a total enrolment of 2000 child labour students per three year block period . Till date NCLP, Deogarh has enrolled 12454 child labour students under rehabilitation process. (a) Time Table: – The Centres timing is from 10 A.M. to 4 P.M. except in summer. The time table consists of 5 periods having 50 minutes each. Before starting of classes, 10 minutes assembly time is allotted. Besides these, one short-break of 10 minutes duration and another long break of 30 minutes duration for lunch are fixed. (b) Course Contents:-The course contents of formal education designed by the Education Deptt. are being adopted for the children of special schools at present. The course content/cover Arithmetic, General Science, Social Science & English, General Knowledge, MIL(Oriya). A student can only continue for 3 academic years in a centre in which he/she has to passed Cass-V level. (c) Textual Materials for general education:-Textual materials designed by State Govt. for formal education have been supplied by Govt. of Odisha only on payment basis. .
(d) Vocational Course:-The vocational training have been imparted in four trades i.e. (1) Cycle Repairing (2) Tailoring (3) Commercial Art & Painting. (4) Tasar Reeling, Cutting and Weaving. The Tasar trade has been discontinued since last one year due to some unavoidable circumstances. (e) Mainstreaming:-Till date, 12444 no. of students have been mainstreamed to different formal Schools right from the beginning. (f) Stipend Deposit:-The stipend deposit of Rs.150/- per month against each student is being given which is subject to fulfillment of 80% of attendance. (g) MID-DAY MEAL: – Free mid-day meals were being provided to the students @ Rs.5/- per child per day up to Apr ,2010 by the NCLP . The MDM programme was discontinued due to non availability of funds . However, supply of MDM has been started in three blocks of the district out of since August, 2010 . (h) AWARENESS GENERATION:- In the Utsav Pradhanpat our NCLP child labour students of NCLP, Deogarh had participated in the cultural programme. An exhibition stall is also being put-up to display different activities for elimination and prevention of child labour in the District .Awareness generation programme is being done in the District festival Ganesh Mela every year. Publication of advertisements in the local dailies and awareness in the form of leaflet are being done regularly. National Child Labour Project , Deogarh came up as a society registered under the society registration Act 1860 on Dt. 08.09.95 and started functioning since August-96 10152 no.of students have been mainstreamed into formal system of education like govt. school & Ashram school. 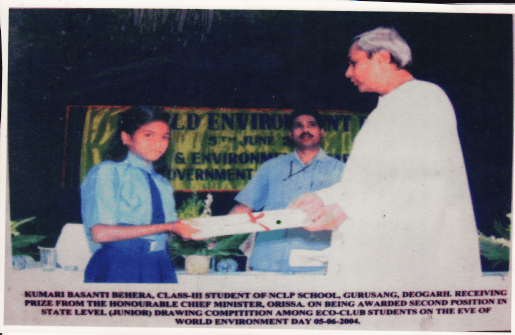 Sri Santanu Nayak and Nilakantha Pradhan, Child labour Students of NCLP Deogarh also got admission into Jawahar Novadaya Vidyalaya, Deogarh in the year 2006. On a sample survey it was ascertained that more than 150 no. of child labour students have passed H.S.C examination are continuing higher studies. Kumari Saraswati Munda ,a child labour Student Of NCLP Deogarh after mainstreaming had participated in the marathon race competition of fifth National athletic meet held at Jaipur ,Rajasthan State on dt. 24.12.04 to 26.12.04 organized by Akhil Bharatiaya Vanabashi Kalyan Ashram . She has completed 7 K.M running in 28 min18 sec and stood 1st in the said race. 103 queries in 0.204 seconds.